Please fill out the Registration Form below so we have all necessary information on file. We require this information in addition to payment. ​A full or down payment will hold a party date or a students spot in any class, camp or workshop. 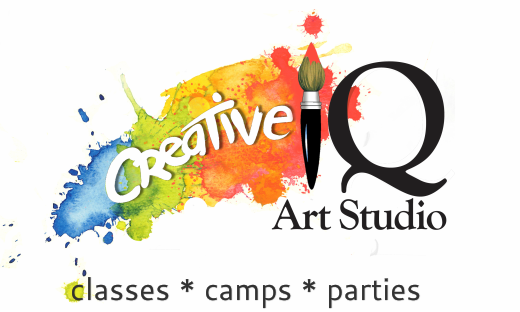 Note: Please contact Creative IQ if you do not see a confirmation meassage on your screen immediately after submitting your registration. Your registration may not have gone through and you may not be registered for your class or event. Enter age if student is under 18 years old. Adults enter: NA. Select your requested class, camp, party or workshop (or type in your selection in the box provided below). Students will be enrolled in their 1st class/camp choice while space is still available. Full or down payment will hold a students spot in any class, camp or party. NOTE: Summer Semester weekly classes are on Saturdays only (there are no weekday classes during summer). Sign up for our weekly Tuesday - Saturday classes for the Fall, Winter and Spring Semesters. Please type in the Summer Camp, Class or Workshop you are registering for. Example: Summer Camp, Week 6, July 11-15, Art Bloom! Student #2 Information: Complete this section when registering more than one student within the same family. Ask about our sibling & family discounts! If registering more than one student, complete form information for Student #2. Ask about our sibling & family discount! Fill in the desired class, camp, party or workshop. Include day, time & description. Parents/Guardians names required for all students under 18 years of age. For students 18 years and older, please re-enter the students name. In place of a cell phone number, you can re-enter your best contact number here and specify your best contact number in the check box below.